The bank to speak to; save cash and time when sending a money transfer to the euro to French bank Credit Mutuel, use a currency broker instead. The best alternatives for sending funds from the UK to a Credit Mutuel bank account in France, a currency broker will save you time and money on the transaction. Credit Mutuel provides its banking services through a network of approximately 5,920 branches with headquarters based in Paris, France. Credit Mutuel’s slogan is “La banque à qui parler” (The bank to speak to) and has 7.4 million customers, roughly half of whom live in Alsace, Lorraine, Franche Comte and Burgundy, France. International transfer requests may be submitted by fax as long as you have signed a request at your local Credit Mutuel branch. 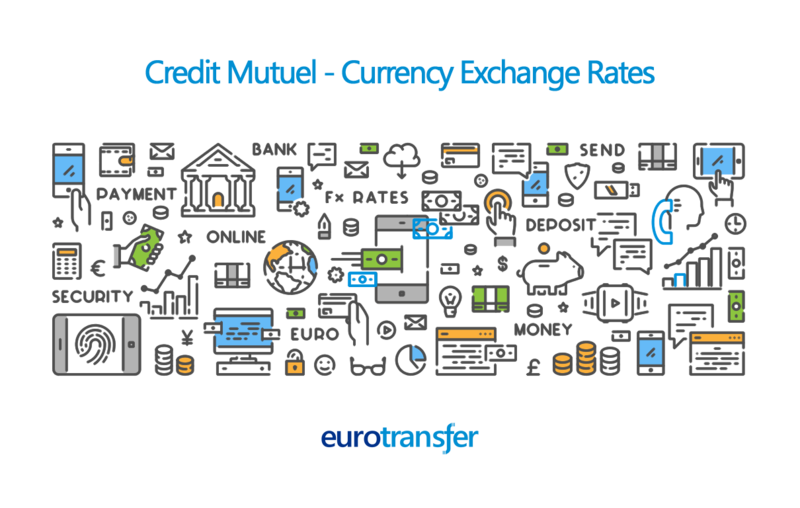 Share the post "Credit Mutuel"
Compare foreign exchange rates when transferring money to or from your Credit Mutuel euro bank account to UK pounds, US dollars or other popular currencies.